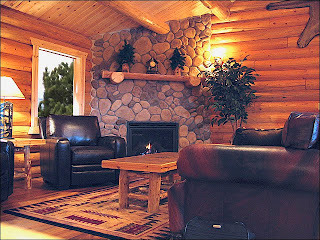 Here's a nice example of a cozy livingroom in a cabin in Colorado. Imagine relaxing next to a roaring fire, as the snow piles up outside. Throw another log on the fire as you sip hot chocolate and plan your next ski outing.